This will and wont happen, and definitely not next level. Would need a rewrite of Ableton Live itself just for starters. Mark Williams wrote: This will and wont happen, and definitely not next level. Would need a rewrite of Ableton Live itself just for starters. 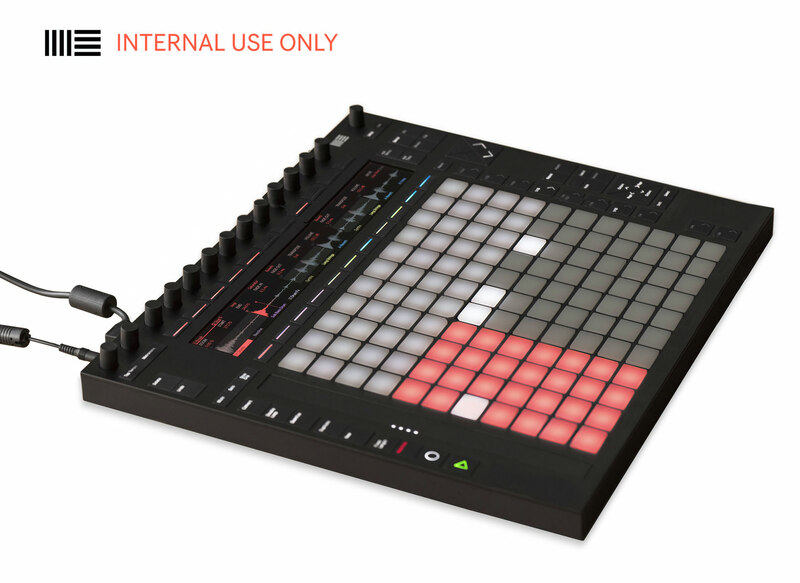 Adding extra pads would need Ableton to be re-written.. That is interesting statement. How so? 10 by 10 pads allow more for 2 hand playing. Well it would be difficult since things are grouped by 8 and the way things like sequences lay out on the pads fits a perfect 4x4 time signature. The extra 2 pads would make it too much wider or reduce more useful functions. 64 pads is more than usable for finger drumming. jestermgee wrote: Well it would be difficult since things are grouped by 8 and the way things like sequences lay out on the pads fits a perfect 4x4 time signature. The extra 2 pads would make it too much wider or reduce more useful functions. 64 pads is more than usable for finger drumming. I see what you mean, but, the easy fix is the pads get greyed out when in those modes, like when ur 4x4 with a drum rack. Won't hurt it aesthetically. In fact, will be a plus. If you want more pads, just use 64 pad layout, 8x8 is the norm for nearly all controllers, for a reason, it fits into a 4/4 workflow. Yeah and having 2 rows of pads "greyed out" just looses valuable workable desk space for most. So I think you are sailing in your own boat there. - Replacing the pads with Roli style pads would be awesome... or something accurate for key playing. - More efficient USB power would also be good, if NI can do it with their 2 x LCD Ableton can. I dunno if this has been posted before but I saw this on a guys twitter, he's on the beta program for it or something. the guy who did it should be ashamed of himself, that's what I say. He should have put more time and effort in. 11 x 11 would be sweet in a Spinal Tap sort of way. I think "internal use only" might be some kind of rectal joke too. But perhaps I've spent too much time on synthmemes. I got a Behringer Neutron synth recently, and according to the documentation the Drive parameter goes to 11. That's quite funny.